Recognising customers regardless of channel, and engaging with them in a personalised and relevant way, has been a huge challenge for marketers. But thanks to a new campaign management platform and single view of the customer, these are becoming realities for US-based beauty products retailer, Ulta Beauty. Founded in 1990, the beauty superstore owner has grown to 675 stores in the US, and is experiencing 20 per cent year-on-year growth. Ulta plans to add 100 stores this year, and reach 1200 stores in the next few years. 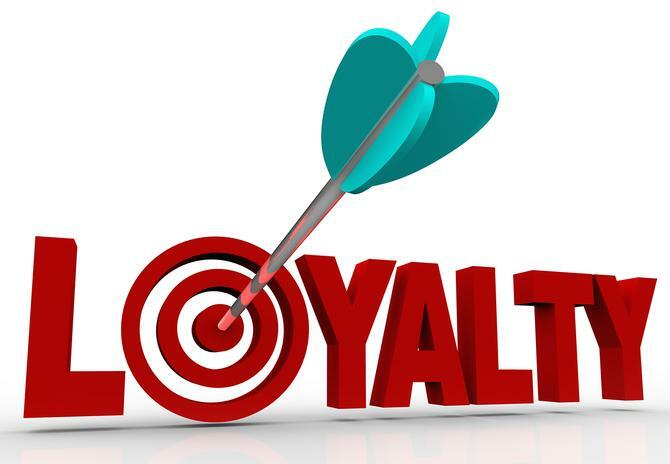 Key to Ulta’s customer engagement strategy is its customer loyalty program, ULTAmate rewards. The group boasts of 13 million active members, or those who purchased products in the past year. As part of its loyalty program activity, Ulta communicates messages, offers and content via mobile, direct mail, email, online, guest services and in-store. The primary challenge has been delivering relevant communications with customers that help drive revenue. To do this, it needed to deliver messages at the right time, and that meant something on a personal level, vice-president of loyalty and CRM for Ulta Beauty, Eric Messerschmidt, told attendees at this year’s Adobe Summit in Salt Lake City. At the same time, the company had been building up a wealth of customer data through its point-of-sale systems and was looking to unite and tap into this to improve engagement and customer value. Historically, the marketing team had to ask IT for information from 38 siloed customer databases across seven individual systems, including ecommerce and point-of-sale transactions data, loyalty points history, merchandise information and CRM. Following an RFP and tender process, Ulta invested in Adobe Campaign manager (formerly Neolane). Messerschmidt said the top benefit is its ability to aggregate customer information into a single view, or “golden record” of data. Other winning features include intuitive campaign set-up and measurement, and the ability to automate personalised communications to its loyalty club members. All data, regardless of source, is feed into the Campaign tool and integrated, providing not only a comprehensive view of each customer, but also the capability to do daily data feeds and data cleansing in a more efficient, real-time way. Ulta then uses SAS’s technology to undertaken data mining, modelling and scanning activities, and has also built up an in-house data analytics team to utilise Campaign data for propensity modelling and customer behavioural insights. Examples of how Ulta is utilising the Campaign platform include personalising email content, extending its reach via multi-channels, automating multi-touch communications, and accelerating specific brand sales campaigns and activities. To do this, Ulta needed to create 20 ad tiles, including 11 different types of message on loyalty status, five types of points activation messages, and four different product offers. “This equals 220 unique versions of this email. But Campaign does the combinations based on the data automatically,” he said. To ensure the technology was successful, Ulta created rules to deal with conflicting customer information, as well as worked on next-day campaign measurement, multi-level reporting and integration with delivery channels such as email and direct mail. It also customised reporting templates to better deliver aggregate results to stakeholders and partners. Measurement is a vital part of proving the technology and processes are working, Messerschmidt said. Ulta takes an audience, defines them and gears them up for a campaign, then segments out a test group to one side to illustrate impact. As a way of demonstrating how campaign management had helped the organisation in its first year, Messerschmidt said email delivery has decreased by 17 per cent even as more people signed up to Ulta’s loyalty program. Open rates also saw a 47 per cent improvement on average, and sales per delivery were up 141 per cent. One of the key challenges marketers face is getting buy-in from executives for these kinds of investment. Messerschmidt and his team achieved this by firstly putting together a strategic plan detailing the vision and benefits. It also engaged in a formal RFP process involving IT. “The IT team inspected the technology and checked data security and compliance,” he continued. “It was a collective effort to make sure all the partners felt good about it. For those looking to make a similar investment, Messerschmidt stressed the importance of getting executives and IT on-side. “Identify retention, basket size growth and membership… you’ve got to get the CEO and CFO to believe in it,” he said. When integrating data, define your requirements well. Do not underestimate the time and effort it takes to define what you are looking for. Make sure it’s a collaborative effort and work with IT, finance and marketing. Don’t just look at the data that you do want, but also understand what don’t want. Don’t rush through data validation – give it a lot of time. “We found plenty of errors and you want your data to be pristine,” he said. If necessary, phase deployment into bite-sized chunks. This also helps prove your worth. Start with the easy campaigns first. Make sure the team is happy that it’s working and then you can bring it back to the organisation and show successes. Give yourself ample time to learn – there is a lot to learn. Set-up control groups for every campaign – without control groups, how do you know if it works? Document results on an ongoing basis and share these with stakeholders. Be candid about what doesn’t work and be the expert on customer behavioural drivers.